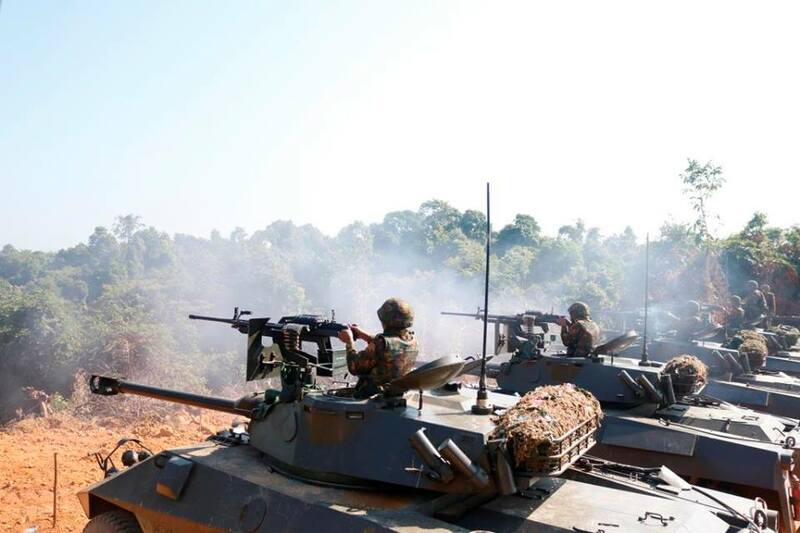 Commander-in-Chief of Defence Services Senior General Min Aung Hlaing viewed the joint military exercise (Hsinbyushin) of the Tatmadaw (Army, Navy and Air) being conducted at Pathein Station of South-West Command so as to increase combat skills in conventional wars for national security and defence. 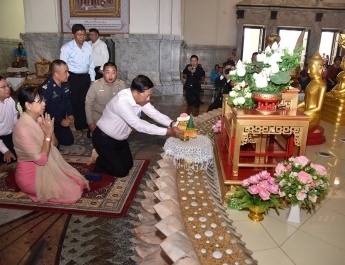 Also present on the occasion together with the Senior General were Commander-in-Chief (Navy) Admiral Tin Aung San, Commander-in-Chief (Air) General Maung Maung Kyaw, senior military officers of the Office of the Commander-in-Chief, the commander of South-West Command, members of Tatmadaw (Army, Navy and Air) corps and reporters from local news agencies. 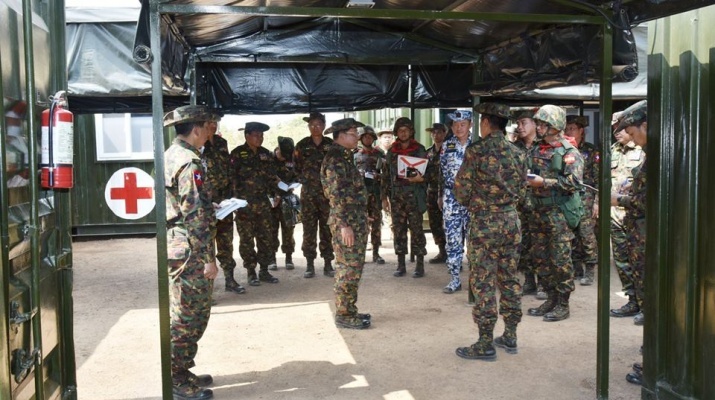 At the meeting hall of the training school of local battalion in Pathein Station, the Senior General and party heard the report by team leader South-West Command Commander Maj-Gen Teza Kyaw on the introduction to the joint military exercise with the use of power point presentation and sand tables, giving of verbal order to start battle, giving of verbal orders by respective army, navy and air force commanders in their respective military exercises and coordinated plans. 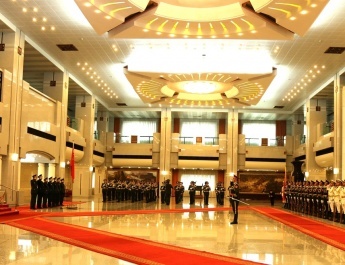 The Senior General then gave necessary instructions. 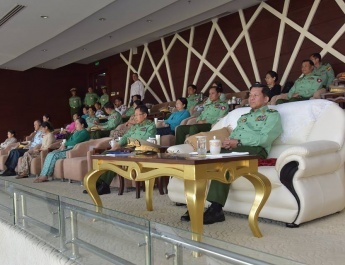 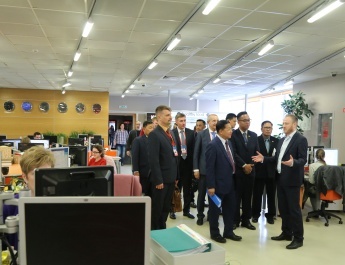 Senior General Min Aung Hlaing and party went round in the Joint Operation Command Center where they were conducted round by officials. 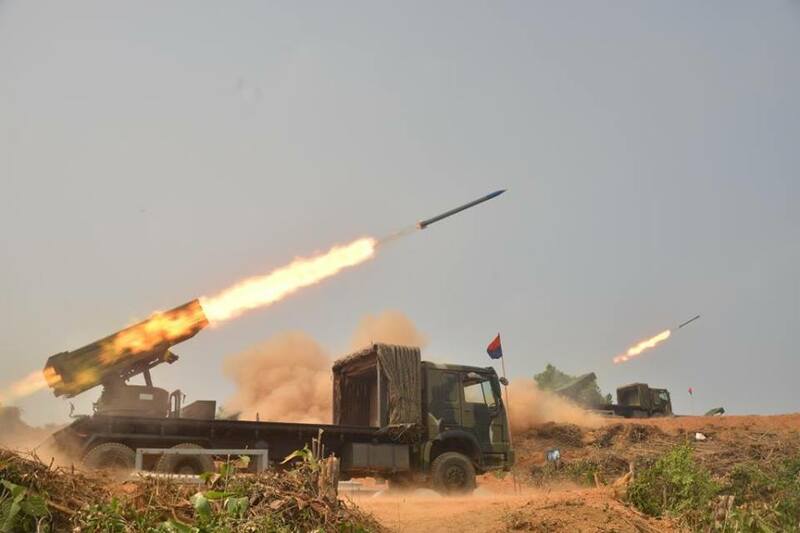 Afterwards, the Senior General and party viewed regimental level military exercise with the combination of infantry and tanks from the joint military exercise (Hsinbyushin) of the Tatmadaw (Army, Navy and Air). 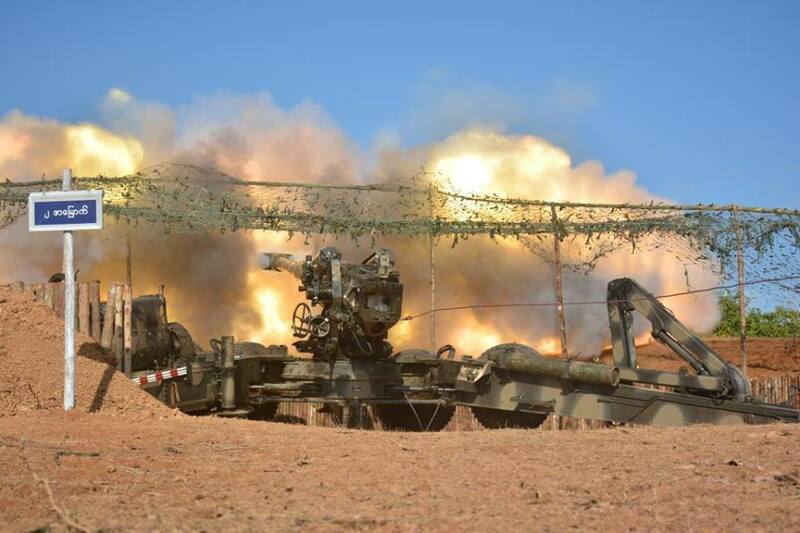 In the drill, the troops showed skills of moving canons by helicopter and occupying the target with the combination of infantry and tanks. 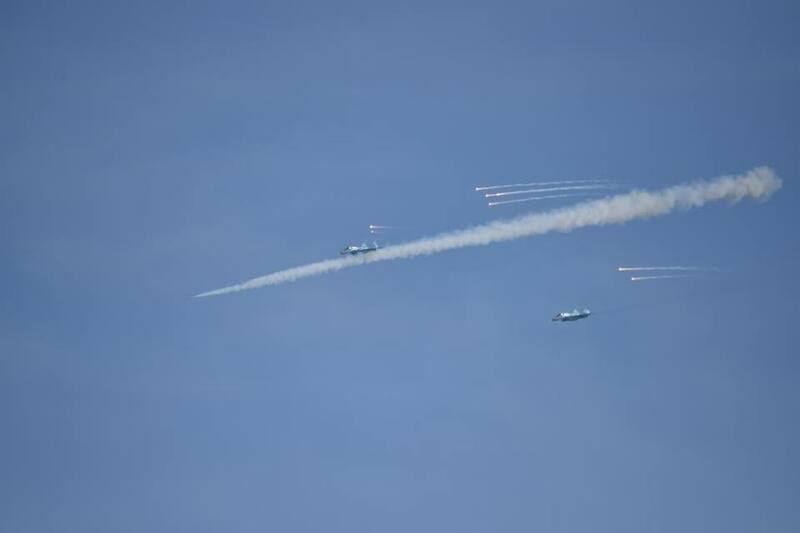 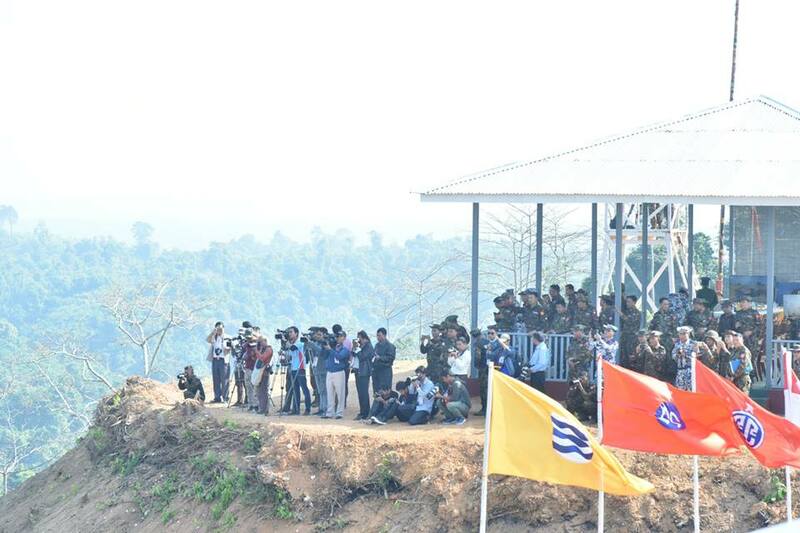 The Senior General and party went to the viewing deck for divisional level military exercise and from where they viewed the exercise which included firing of a cluster of missiles, prior crushing of enemy targets by jet fighters and helicopters from Tatmadaw (Air) and occupying of the targets by infantry units. 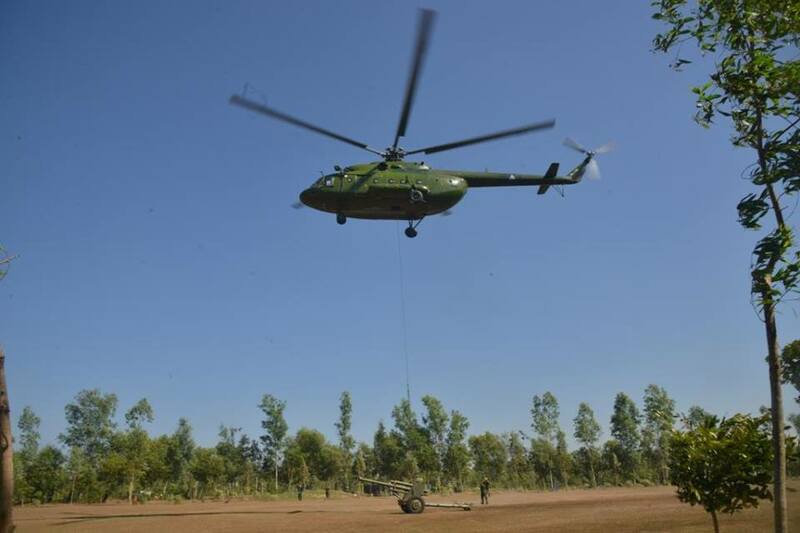 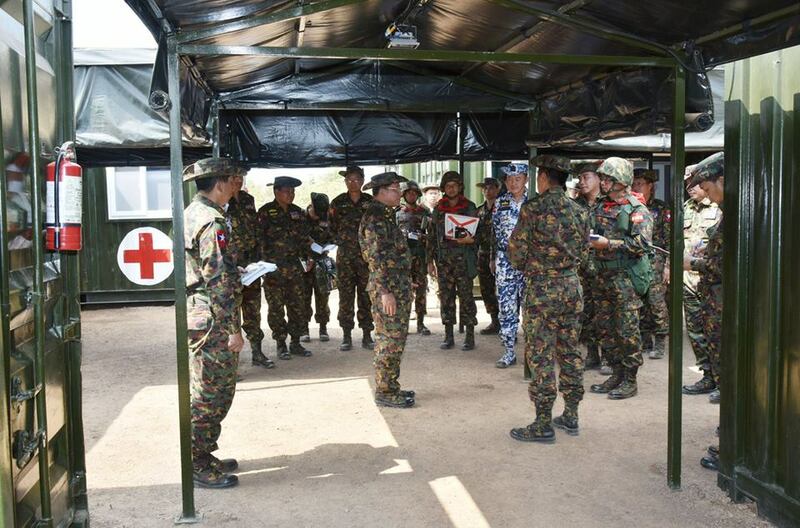 The Senior General then inspected the battlefield logistics camps and a 20-bed mobile battlefield hospital platoon and left necessary instructions.The second session of the Tatmadaw (Army, Navy and Air)’s joint military exercise will be continued on 3 February.